The prospect of swelling supplies and weaker economic growth is weighing on prices. 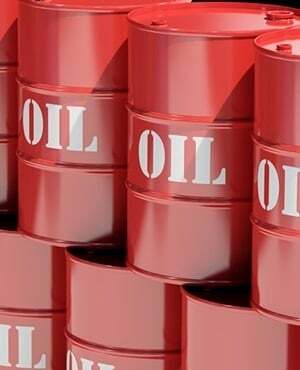 The mood has darkened after crude markets got off to their best start to a year since 2001 on optimism output cuts by the Organisation of Petroleum Exporting Countries and its allies will balance the market. However, bullish sentiment could return if the US were to impose sanctions on Venezuelan crude, a move that would hit some Gulf Coast refiners hard and force them to seek out alternative supplies. Brent for March settlement slid 69 cents to $60.45 a barrel on the London-based ICE Futures Europe exchange. The contract dropped 36 cents to $61.14 on Wednesday. The global benchmark crude was at an $8.31 premium to WTI. There’s a possibility of zero economic expansion this quarter if an ongoing partial government shutdown in the U.S. extends through March, according to White House Council of Economic Advisers Chairman Kevin Hassett. “Humongous” growth would follow once federal agencies reopen, he said in a CNN interview Wednesday. Meanwhile, US crude inventories rose 6.55 million barrels last week, the American Petroleum Institute was said to report. Energy Information Administration data due on Thursday is forecast to show stockpiles dropped 750 000 barrels last week, according to a Bloomberg survey. In Venezuela, opposition leader Guaido was recognised as the acting president by several governments in addition to the US on Wednesday. The leftist regime of Nicolas Maduro responded by breaking diplomatic relations with America, giving diplomats 72 hours to leave the country. The Trump administration has drafted a slate of sanctions but hasn’t decided whether to deploy them, according to people familiar with the matter. Earlier this month, White House officials warned US refiners that sanctions were being considered, and advised them to seek alternative sources of heavy crude. Some processors worried about restrictions experimented with alternatives last year before ultimately returning to Venezuelan crude.